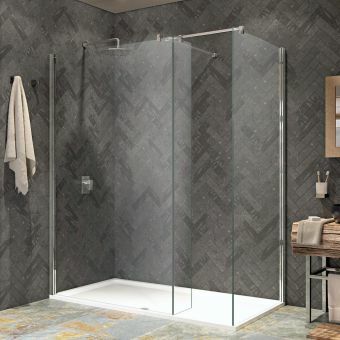 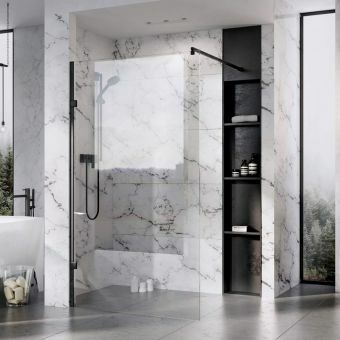 Putting a creative design and graphical form to the forefront of their styling innovation, Roman Showers have created the Black Grid Pattern Wetroom Panel. 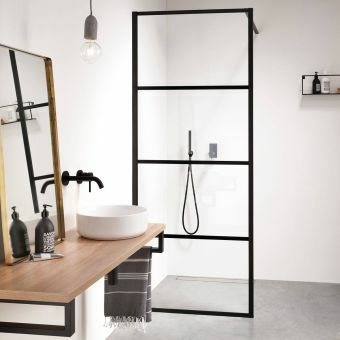 Its bold industrial looks are also reminiscent of the Japanese bamboo wall divider helping to create a separate, well-defined area within the home or bathroom. 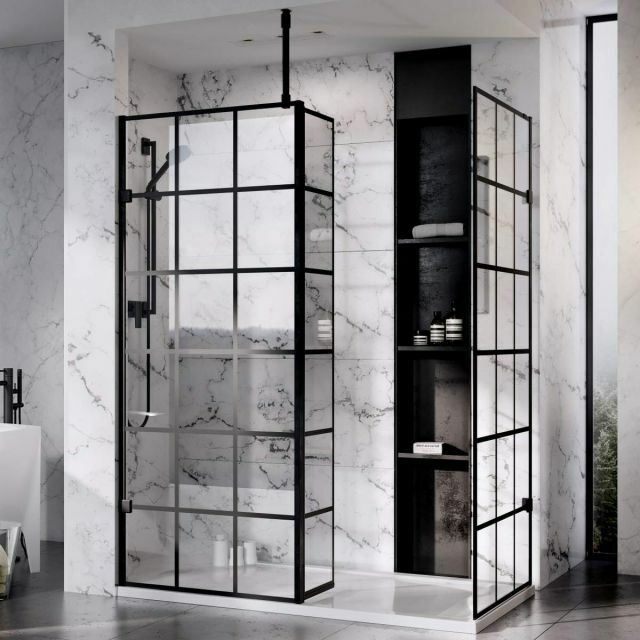 Using technologically advanced printing techniques, the black grid pattern adds a touch of visual luxury to an everyday object and with five widths to choose from, you can readily create a walk-in shower or by adding a second panel, a corner installation with its own entrance. 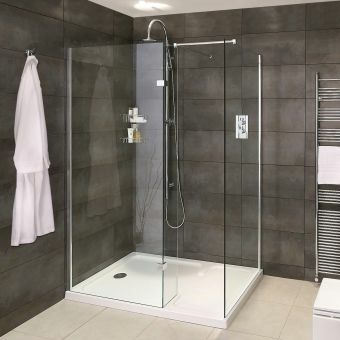 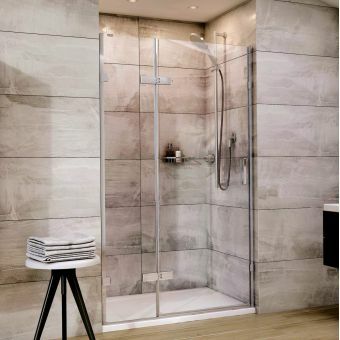 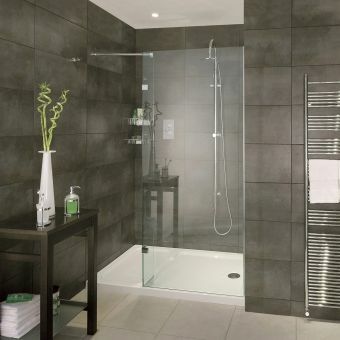 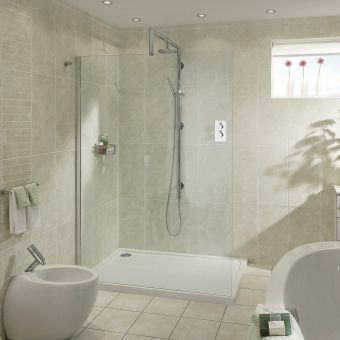 The 10mm toughened glass is sturdy and durable but also heavy so Roman has provided a choice of bracing bars which reach to the wall or ceiling and can also be cut to size if required. 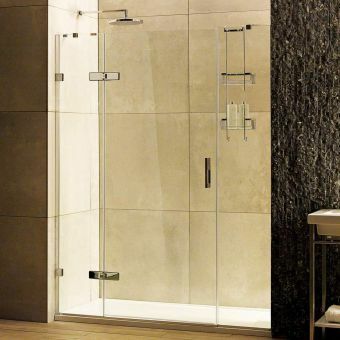 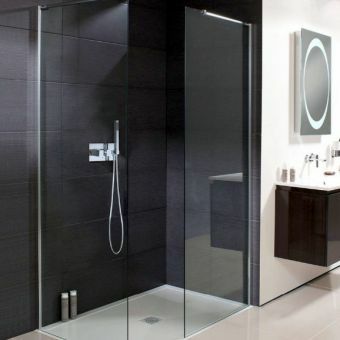 A thoughtful touch is the pivoting deflector panel which helps to prevent water from escaping onto the bathroom floor and can be specified as an optional extra. 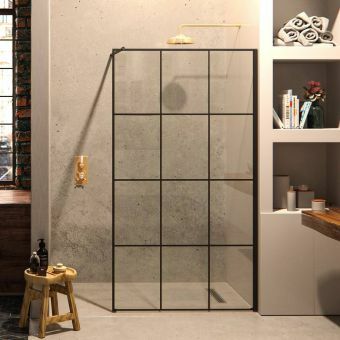 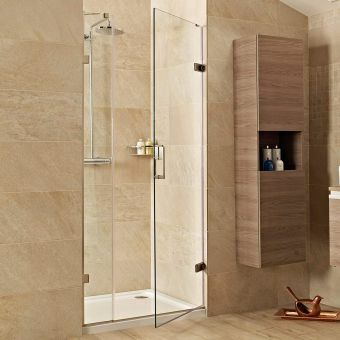 This grid panel will transform any ordinary bathroom space into an extraordinary one by creating a light and inviting area in which to shower.